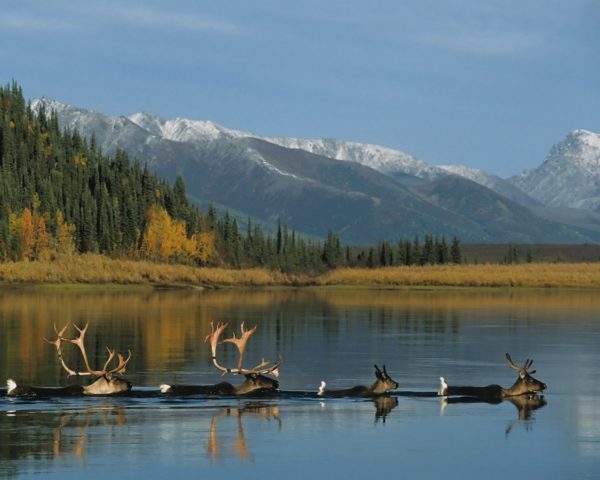 This image always takes me home, to a river bend I’ve known more than half my life. 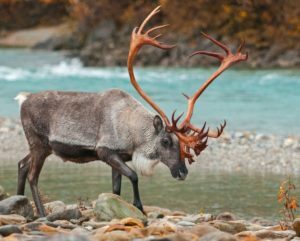 A band of caribou fords the Kobuk River on a sun-washed early autumn day; the first snow dusts the Jade Mountains and winter is coming fast. 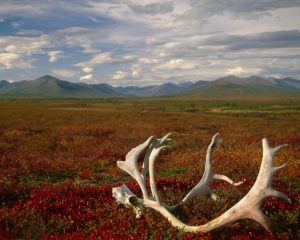 The seasonal movement of the western arctic caribou herd, 275,000 strong, is one of the great migrations on earth.